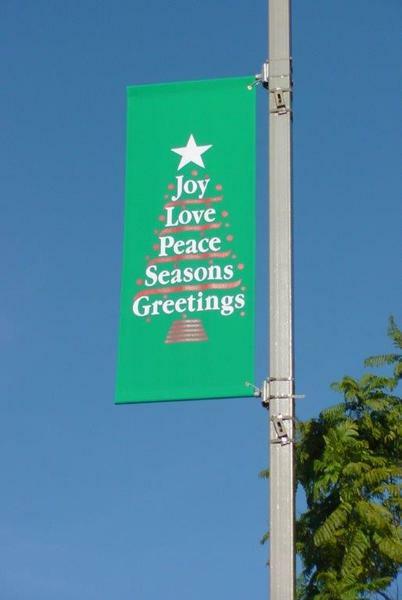 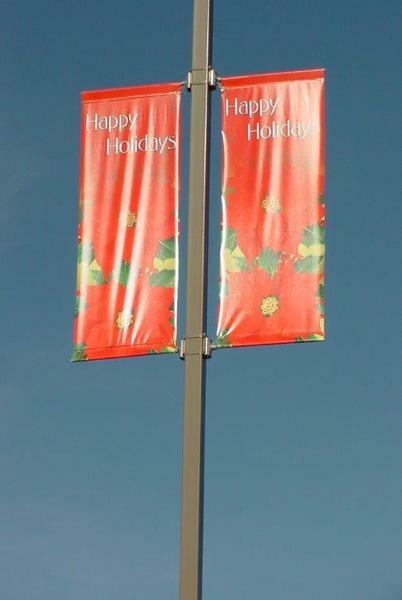 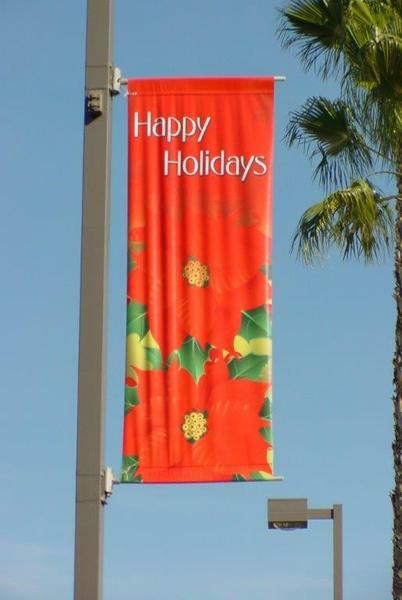 Light pole banners lining a street during the holidays can bring that bit of holiday spirit cities, towns and schools want to convey. 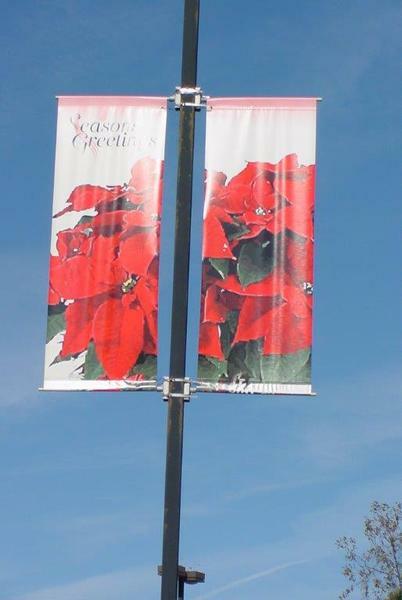 Pole banners are an economical way to decorate a street and can be used over again for years to come when installed properly. 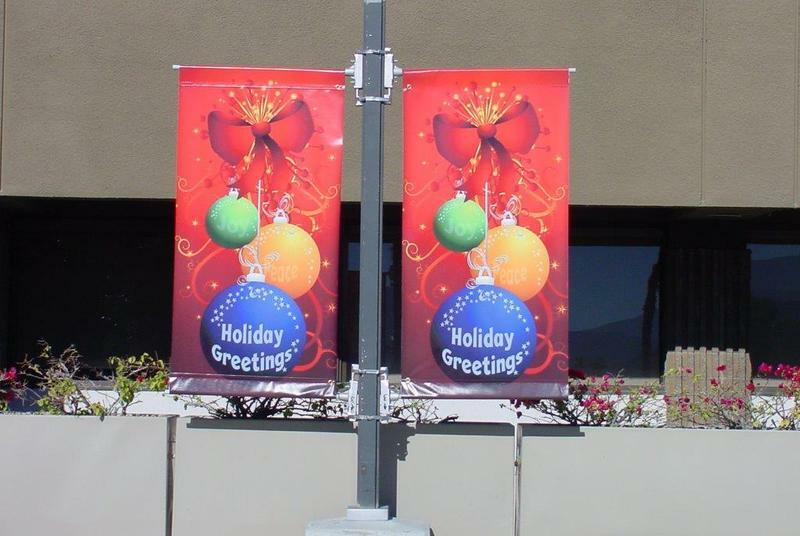 Contact Zane Williams for Christmas and holiday banners and choose from our stock or go custom using your own text, logo or image.